Great investment, Perfect for Students. Property located in very popular complex. This ground floor unit is very well maintained and in great condition. Open plan living area and Kitchen. Cupboard look brand new,dark granite top with a breakfast nook. One bedroom with build in cupboards, one bathroom with shower and bassinet. Whole unit tiled and newly painted. Great for entertaining,Great to have Barbeques. The Living area open up to a patio and the communal gardens. Complex is very neat and well kept. Undercover parking and visitors parking available. 24 Hour security en fencing. Walking distance to Tuks and all amenities such as bus and taxi routes, restaurants, Hatfield Plaza, the Hatfield Gautrain station, main roads, medical care facilities and a highly active commercial industry. Rental agent on the premises should you want to buy as investment. 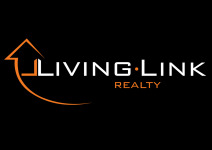 Living Link Realty is looking forward to show you this unit!